After successful shows in Europe, New Zealand and the USA, Solaire Resorts & Casino, MKFAE Productions, Inc. and Royale Chimes Concerts and Events Inc. are bringing One Night Of Queen to the Manila stage for the first time from October 24 to 25, with 2 massive shows currently on sale. The famous British band Queen first entered the music scene as a college band, but began touring in 1973 when their debut album was released. They initially had a strong following among rock and roll fans and gained a larger reach after the release of One Night at the Opera which included the dramatic masterpiece, Bohemian Rhapsody. Even after the death of their lead singer Freddie Mercury, the band continued on to become the model for pomp rock in America and all over the world. They were inducted to the Rock and Roll Hall of Fame in 2001, making them highly popular to the millennial generation. One Night of Queen is an action-packed summary of the band’s best and most lauded performances. 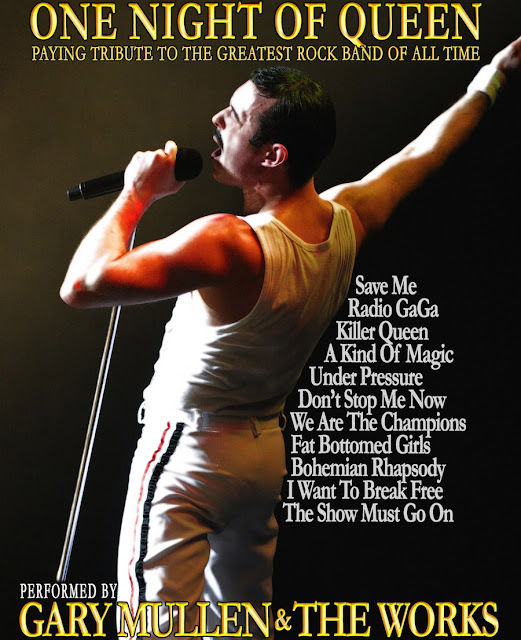 In two music-filled hours, relive your favorite iconic 80’s and 90’s rock songs Radio Gaga, A Kind of Magic, Another One Bites the Dust, We Are The Champions, Bohemian Rhapsody, I want to Break Free, We Will Rock You, to name a few on October 24, Saturday and on October 25, Sunday at The Theatre of Solaire Resorts and Casino.